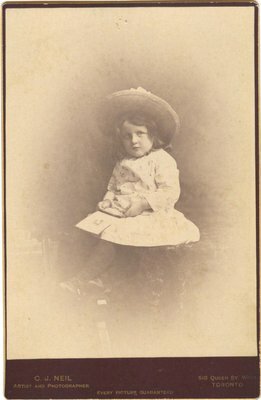 A photograph of an unidentified girl from the photo album of Amos Wright, resident of Richmond Hill. Photographer Charles J. Neil is listed as operating from ca. 1888 in Toronto, on 518 Queen St. West.